To be used with Words Their Way or any other sort-based spelling curriculum. 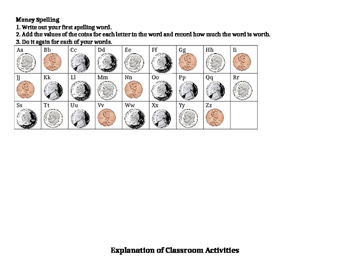 This product includes weekly class and homework activities. 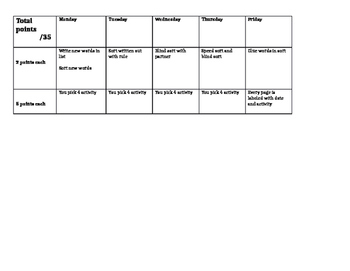 It includes a daily schedule, a rubric and explanation of each activity. 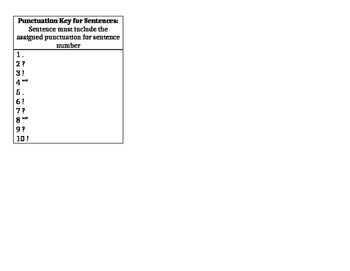 Also included are two keys needed for two unique activities. 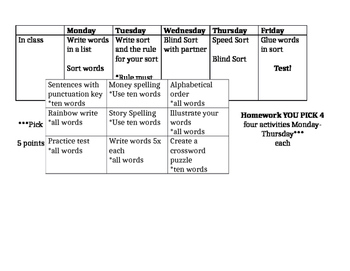 Everything is included that is needed to implement a successful, interactive and student-choice word study curriculum.